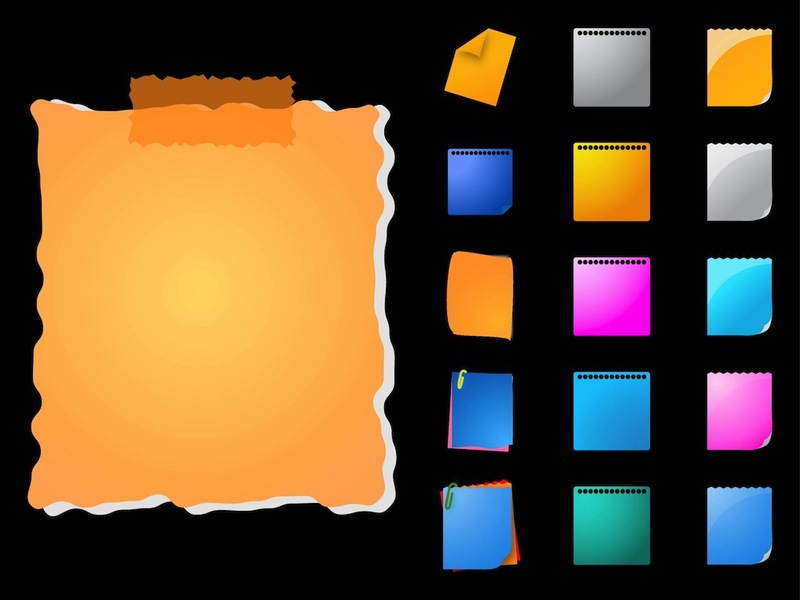 Colorful vector illustrations of sheet of paper. Variety of colors, shapes and styles on the stationery objects illustrations. Basic paper notes decorated with perforated holes, pieces of tape and paper clips. Free vector images for all kinds of posters, flyers, reminders, icons and logos design projects. Tags: Colorful, Colors, Paper Clips, Post-It Notes, Sheet, Stationery, Tape.